In our last blog post, we outlined how entrepreneurs from Hong Kong, and all other unapproved countries, can get their projects onto Kickstarter. 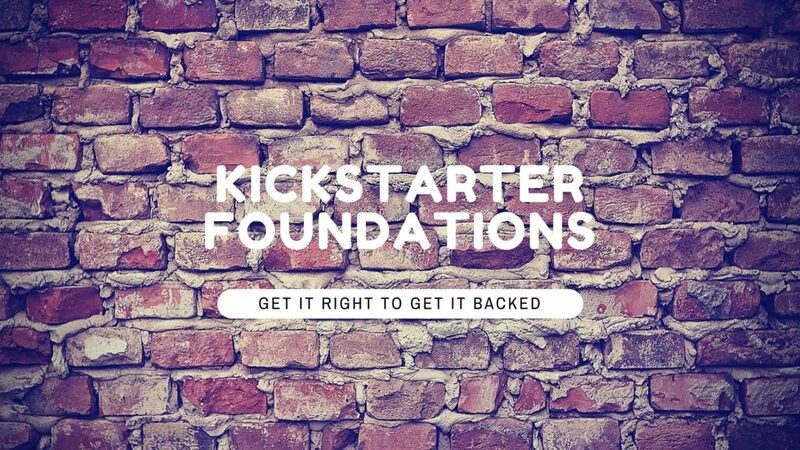 In this post we’ll go over how to lay the foundation for a successful campaign by perfecting the three core elements of your Kickstarter project. I know what you’re thinking: “this is a blog post about Kickstarter marketing, not product development!” And you’re right; when clients come to us to help make their crowdfunding campaign a success, they already have a product, and usually a prototype, designed. However, one of the first questions we ask prospective clients is “what market validation have you done?” Products that are designed well have a sort of “built-in” marketing. They provide an experience that fits the target customer’s needs so well, they are practically compelled to share it with friends, family, and co-workers. This is called Product Market Fit. Borrowing an example from Ryan Holliday’s great book, Growth Hacker Marketing, consider AirBnB, the online flat-renting platform. The website went from advertising the living room of the founders’ loft apartment as a small bed and breakfast, to a networking platform for business conference attendees looking for a way to avoid overbooked hotel rooms, and finally to its current iteration as the web’s premier domain for accommodation crowdsourcing. When it comes to the importance of product market fit, the proof is in the pudding. For AirBnB, that pudding is worth $25.5 billion. Of course, you shouldn’t wait until you have a perfect or revolutionary product before you launch. However, you should have something that brings real value and meets the needs and desires of your intended market before you decide to take it to a crowdfunding platform. You’ve been gathering feedback from beta testers and making refinements to your product. Now you’re ready to show it off to potential crowdfunders on Kickstarter with a well made video. This isn’t required to put your idea on kickstarter. You’re just much more likely to get funded with a video than without. But before you start shooting, take a look at the most funded campaigns in the same category as your product and use their videos as a guide. What kind of messaging are they using? What does their cinematography look like? Basically, what makes their videos so effective? These kinds of questions will help you formulate the best strategy for your own video. Make it personal and and tell your story. Backers don’t just want your product to succeed; they want you to succeed. Present a problem, then show how your product solves it. Keep it between 1 to 3 minutes long, long enough to create interest but short enough that your viewer isn’t bored. If you’re narrating the video, make sure there is a clear call to action. Invite people to be backers, but don’t beg. If you can afford it, hiring a professional production company to make the video for you will give your Kickstarter page and even more polished look. Coffee Joulies – The creator of this project contacted a videographer through craigslist to help him with the video. It turned out great, even without a big budget. Halfbike II – This video makes great use of drone shots and an excellent location. If your product is conducive to beautiful scenery, do yourself a favor and take advantage of it. With your product polished and your video filmed and edited, you’re ready to build that campaign page. The first parts of your campaign that potential backers will see is your header image and header title. These are displayed at the top of your Kickstarter campaign page and also are included in the thumbnail that shows up in kickstarter’s results. Take Soundboks for example. Their header title is “Soundboks: the loudest battery-powered speaker.” This header makes a bold, interesting statement that shows off the main features of the product: it’s loud, and it’s battery-powered. It also deserves bonus points for hinting at the problem and solution format we covered in the Kickstarter video section. The implication is that there aren’t any speakers on the market that are loud and battery-powered. The Soundboks is both. The header image reinforces this idea by showing it being set up for an outdoor event. The messaging is clear: the Soundboks is a highly functional product that is also fun and social. Similarly, your product’s header image and title should showcase its unique features while making it seem fun, exciting, or interesting. People are looking for more than a useful product, they aspire to something they hope the product will help them attain. Ravean Heated Jacket – We mentioned them in the video section, but their page is a perfect example of the right balance between visuals, video, and text. Coolest Cooler – Since this was one of the best performing campaigns of 2015, it deserves a mention somewhere on this post. Check out the awesome use of GIFs to illustrate the product’s functions. Exploding Kittens – This campaign’s wild success can attributed to having a compelling and interesting product and a campaign page that reflects the feel of the product itself. The hand drawn assets and humorous explanations make this Kickstarter project seem human and fun. Also, cats. Stay tuned for our next entry in this Kickstarter and crowdfunding blog series as we discuss how to get the word out for you product through social media and digital publications. We’ll show you to get the most eyes in front of that awesome smart salad spinner you just designed.